While most students were moving in and attending day keggers during welcome week, Natan Tietz was recruiting students for the SUA. His mission: filling all of the SUA committee positions on campus. Tietz did extensive outreach to students during welcome week, he said, especially to freshman and transfer students. He hopes that by increasing awareness of the committees and their functions, he can inspire more students to take an active role in governing the university. The first milestone towards this goal was met recently when all the seats on the academic senate committees were filled. This important committee meets with faculty to discuss issues of educational direction for the university. Tietz was attracted to this position because he saw an opportunity to make a difference. 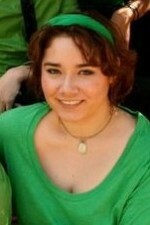 Tiffany Loftin beat out two other candidates to become the SUA student body chair for the 2010 academic school year. 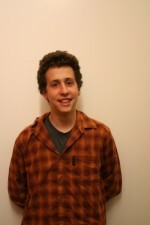 Loftin is a fourth-year Oakes student, and an American studies and politics double major. Of her goals for this year, Loftin said she hopes to accomplish many things, all with the backing of a united student body. “I want to focus on one campus issue as a campus body and focus on accomplishing it, accomplishing one thing that we’re all in agreement on,” Loftin said. As student body chair she is responsible for SUA’s budget, which comes to about $1.5 million, and “supporting the other officers,” she said. Loftin and the other officers have already met with recently appointed executive vice chancellor Alison Galloway, and they are excited to work with her, Loftin said. Claudia Magaña was drawn to her position as external vice chair by the opportunity to be an advocate for public education and undocumented students. 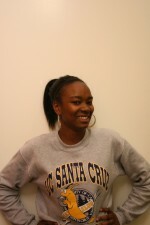 She does so by serving as the official representative of UCSC students to all external entities. This year, Magaña’s office will prioritize two campaigns that have been set by the University of California Student Association (UCSA) and the United States Student Association (USS). They will be working to pass the Dream Act on the federal level, implementing a regental policy that would allow undocumented AB540 students to have access to institutional aid, and trying to secure a new revenue source so a fee rollback can be funded. In addition, Magaña hopes to help the SUA be at the forefront of the student movement. She hopes student advocacy in 2010 will include more student engagement. Nestor Rivera doesn’t make requests. He makes demands. As the organizing director for the SUA, he is committed to increasing the power of students to make demands through grassroots organizing. His current goal is to register 4,000 students to vote. Rivera views the physical layout of the UCSC campus as his main obstacle with regard to organizing students. Despite these challenges, Nestor said he is committed to organizing students to fight for their interests. Alma De Castro wants to be a part of the big conversations. De Castro takes over this fall as commissioner of academic affairs. One of her main goals is to continue the work of her predecessor, Matt Palm, regarding budget cuts. De Castro wants students at all UC campuses to take the budget facts survey, created last spring quarter by the SUA. The survey collected data on how UCSC students were impacted by budget cuts. By taking the survey systemwide, De Castro hopes to create a greater avenue for student voice in budgeting negotiations. “This would put UCSC at the forefront of getting student impact data to the [California] legislature and the March subcommittee hearings for higher education,” De Castro said. 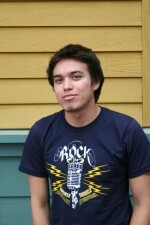 De Castro has experience working in student government. As a third-year transfer student in the fall of 2009, she joined the SUA to expand on the work she started at community college, where she was a member of the Academic Senate. De Castro said her main challenge this year will be adjusting to the bureaucracy of UCSC. 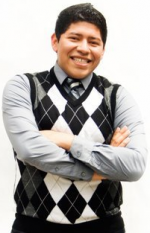 When Omar Villa first arrived at UC Santa Cruz, it was his desire to educate himself about his culture that led him to become an advocate for student rights at rallies and protests, and to act officially in this capacity as the SUA’s commissioner of diversity (COD). “I decided to run for commissioner of diversity because I felt I had the experience and background needed to continue advocating for student issues, especially for those who are underrepresented and/or marginalized,” Villa said in an e-mail. Among Villa’s many goals and responsibilities this year will be chairing and participating in various committees that influence policy and change on campus and throughout the UC. As COD, Villa will sit on the UCSC Advisory Council on the Campus Climate, Culture and Inclusion Committee, which is chaired by Chancellor George Blumenthal and was created by UC president Mark Yudof in response to the “hate bias” incidents that occurred at UC San Diego last year. Villa plans to be an active participant in student action this year. “If the students are asking for certain demands, we can definitely be the bridge connector between students and administrators to voice the needs of the undergraduate student body,” he said.